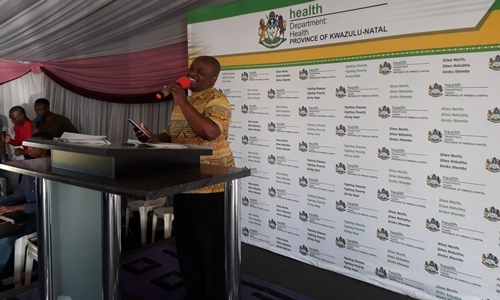 The KwaZulu-Natal Department of Health is continuing to target religious leaders and male congregants and urging them to be agents of change in their own lives, and in society. 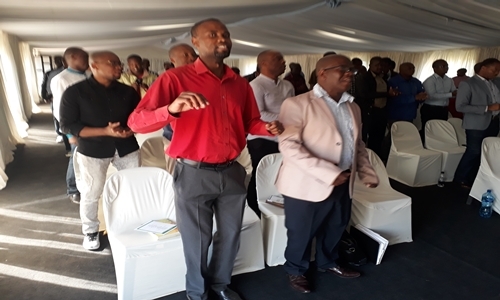 At an interfaith discussion and health screening forum held at Reunion Community Hall near Umlazi yesterday, men were implored to take a stand against the abuse of women and children – while also becoming more health-conscious. This campaign is being rolled out throughout the province. It is in line with Government’s stance that the long-term health outcomes of the province can improve through health education, disease prevention and general behavioural change. The gathering yesterday – which also saw some men getting circumcised - was characterised by vibrant discussions on the role that men need to play in family planning, including the need for them to make a conscious decision on the number of children they want to father, and help avoid unplanned pregnancy. In addition to regularly getting tested for HIV in order to protect their partners, those who do not want to make children were asked to use condoms or get a vasectomy. Men were also warned about the dangers on relying on women to test for HIV “on their behalf” because some couples can be serodiscordant (also known as or mixed-status, where one in which one partner is infected by HIV and the other is not). Men were also asked to play a more supportive role to women and get into the habit of accompanying their pregnant partners to ante-natal clinics, and also be there to offer moral support and forget the family bond during birth delivery.